Dr. Katrien Antonio (1981) is associate professor in actuarial science at KU Leuven and University of Amsterdam. She is director of the LRisk research center at KU Leuven (see www.lrisk.be), hosting the research activities in financial and actuarial risks at KU Leuven. 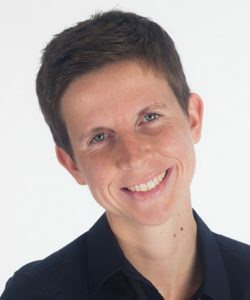 Katrien holds a MSc in Mathematics from KU Leuven (2003) and a PhD in statistics from the same university (2007). Katrien teaches life and non-life insurance mathematics and statistics in Leuven and Amsterdam. Her research puts focus on insurance analytics, in particular: reserving, tarification and stochastic mortality models. Katrien is co-editor of the European Actuarial Journal. For more details, see her homepage. Andrew read Maths at the University of Cambridge and then joined Prudential plc, where he qualified as an actuary, working in Marketing and then Finance. He managed the modelling team in Prudential’s UK business, before joining the Group Head Office to lead work on financial reporting, regulatory and economic capital modelling, and risk oversight. 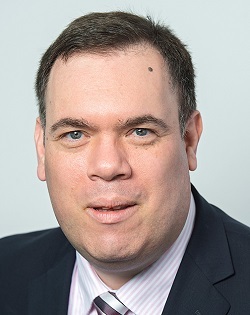 In 2010, he joined the Financial Services Authority to lead an internal model assessment team before taking on a wider role on technical standards and analytics. More recently, he moved to EIOPA in Frankfurt, where he set up the Centre of Expertise in Internal Models. In November 2014 he became Head of the Oversight Unit. Ermanno Pitacco is full professor of Actuarial Mathematics and Life Insurance Technique in the University of Trieste, and academic director of the Master in Insurance and Risk Management at the MIB School of Management of Trieste. He is an actuary, full member of the Istituto Italiano degli Attuari (Italy), and affiliate member of the Institute of Actuaries (UK). – associate editor of the international journals: “Insurance: Mathematics & Economics”, “Decisions in Economics and Finance”, “Insurance Markets and Companies: Analyses and Actuarial Computations”. – member of the Education Committee and member of the Mortality Working Group of the International Actuarial Association. 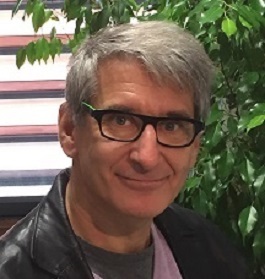 Ermanno Pitacco is author or co-author of textbooks and papers in the fields of life and health insurance mathematics and techniques, life insurance portfolio valuations and solvency, longevity risk, multistate models for the insurances of the person. He was awarded with the 1996 INA Prize for Actuarial Mathematics from Accademia Nazionale dei Lincei, and the 2011 Bob Alting von Geusau Memorial Prize, together with Annamaria Olivieri, for the best paper published in the ASTIN Bulletin on an AFIR related topic. Elsa Renouf is a Fellow of the Institut des Actuaires in France and a Chartered Risk Enterprise Analyst (CERA). Elsa is co-chairing with Pierre Miehe the Groupe de Travail sur les Normes Actuarielles of the Institut des Actuaires since 2012. Elsa Renouf is SCOR Global Life Chief Risk Officer since January 2016. Elsa gained her experience in a variety of actuarial roles in pricing and product management in the Life reinsurance and consulting industries. 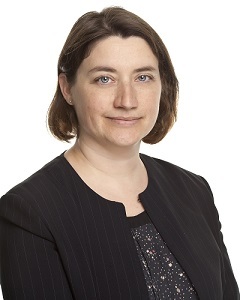 She joined SCOR’s Risk Management community primarily working on the Independent Validation of the Internal Model and more recently as Chief Risk Officer of SCOR Global Life Reinsurance Ireland. Jean-Louis Rulliere is currently Professor of Economics at the Institute of Financial and Insurance Sciences (ISFA) at the Claude Bernard University of Lyon 1. 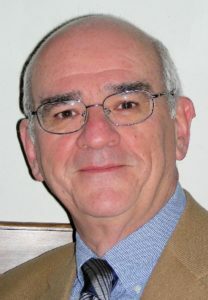 Prior to joining ISFA, he was Professor at the Lumière University of Lyon 2 and was the founder and the former director of Gate research institute. His main area of research is in non-cooperative game theory, and especially experimental economics. Jean-Louis Rulliere’s research interests are predominantly in behavioral and public economics. His main body of work consists of experimental studies in the lab and the field investigating economic factors and cognitive bias that impact on the economic behavior of decision makers. Currently, recent research projects are devoted to a promising field: Behavioral Insurance Economics.